Blake Perry — Each of the Kentucky players who signed a professional contract could be listed among the winners, but we’ll single out Perry for his monumental rise over the last year. When BluGrass Baseball broke Perry’s commitment to UK just over a year ago he was a little known former Boyle County High School pitcher who was spending his senior season playing baseball in Florida. Turn the clock a year ahead and Perry not only improved his stock enough to be drafted in the sixth round but also negotiated a signing bonus worth more than three times the recommended slot amount for players drafted after the fifth round without the help of an adviser. Northern Kentucky University — The draft is a double-edged sword for college teams. Schools want their players selected for the notoriety and recruiting help such news brings but also face losing valuable underclassmen and high school signees the better they do. NKU earned some rare publicity for a DII school with two draftees, and while rising senior left-handed pitcher Dave Middendorf appeared likely to sign with the Yankees after being selected, he didn’t sign before the deadline and could offer the Norse a rare returning draftee in 2011. 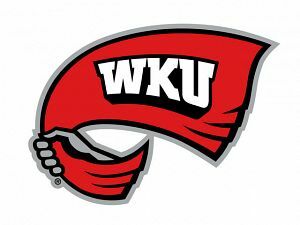 Western Kentucky University — The Hilltoppers had about as good a draft as a Sun Belt Conference team could hope for with three prominent 2010 seniors being selected and signed to professional teams while both underclassmen and one signee selected chose to return to school for 2011. WKU did lose signee Michael Mosby to the Orioles, but rising senior catcher Matt Rice, rising redshirt junior right-handed pitcher Rye Davis and incoming freshman right-handed pitcher Justin Hageman should help the team build on its early 2010 success. James Paxton — Paxton still hasn’t signed a professional contract with the Mariners, and since his attempt to return to school after being picked in the first-supplemental round in 2009 failed last season he has no college eligibility left. As such he has until a week before the 2011 draft to sign with the Mariners. After dropping to the fourth round in the 2010 draft he stands to lose a substantial amount of money whenever he signs compared to what he would have received if he had signed in 2009. Paxton appears unlikely to suit up in affiliated ball this season unless he signs in the next few days, so he could begin 2011 with just a handful of indy ball innings under his belt over the last two years. Paxton has had some tough breaks since the 2009 draft, but at some point he likely needs to cut his losses, sign a contract and just start pitching again. University of Kentucky — The Cats make the loser list only because they had the most to lose from the draft with 11 underclassmen and signees selected. UK probably expected to lose juniors Chris Bisson and Logan Darnell, but the signings of juniors Matt Little and Lance Ray deal a blow to a depleted bullpen and infield. Ray could have been the center of UK’s 2011 offense, but instead the Cats only really got half a season of production from him before he left for professional ball. The loss of signees Tyler Oliver and Perry only complicates matters. The good news is at least five drafted newcomers will arrive on campus this fall. University of Louisville — The Cards have experienced great success under Dan McDonnell, but he faces his biggest rebuilding job yet in 2011 after losing nine players and one signee to the draft. Four of those loses were seniors, but McDonnell will need to find replacements for key 2010 underclassmen contributors in closer Neil Holland, ace Thomas Royse, slugger Phil Wunderlich, outfielder Josh Richmond and valuable left-handed pitcher Dean Kiekhefer. Rising redshirt junior draftee Stewart Ijames will be back as will two drafted signees, including eighth-round pick Dace Kime.